A judge ruled Friday that the state must reimburse a former UW student more than $45,000 in legal expenses after a jury found him not guilty of assault in January and ruled he acted lawfully in defending himself against a member of the Pi Kappa Alpha fraternity. A judge on Friday ordered the state to reimburse a 22-year-old man the money his family paid on his successful criminal defense for stabbing a fellow University of Washington student during a fight last year. In January, a King County Superior Court jury found Jarred Ha not guilty of first-degree assault with a deadly weapon for stabbing Graham Harper, 20, and fourth-degree assault for punching a young woman in the face. The jury also returned a special verdict, ruling Ha acted in self-defense. Under state law, defendants who provide timely notice of a self-defense claim before trial are entitled to reimbursement of reasonable legal costs after successfully defending against a criminal prosecution for assault. In Ha’s case, his family spent $37,500 on attorneys’ fees, $6,792 to hire an investigator to interview witnesses “who had either been ignored by police or only summarily questioned,” and $811.98 to have those interviews transcribed, according to a defense brief filed this month seeking reimbursement of a total of $45,103.98. King County Deputy Prosecutor Stephanie Knightlinger argued during a hearing Friday the amount should be reduced by 20 percent because the special verdict applied only to the more-serious charge of first-degree assault and not the fourth-degree assault charge. Judge Mariane Spearman said the proposed 20 percent was arbitrarily arrived at, agreeing with the defense, which argued their costs would have been the same, even if Ha had never been charged with fourth-degree assault. Ha and his family attended the hearing but did not address the court. Ha was originally charged with second-degree assault with a deadly weapon and fourth-degree assault in connection with a fight outside a University District rental house on Jan. 25, 2015. Though the second-degree assault charge carried the risk of a potential sentence of 15 to 21 months in prison, Ha was offered a plea deal and would have faced up to 90 days in jail if he had agreed to plead guilty to third-degree assault, Ha and his defense team said in interviews last month. When plea negotiations failed and Ha decided to go to trial, the state amended the charge to first-degree assault with a deadly weapon, which increased Ha’s potential sentence to 10 to 12 years in prison, court records show. Harper, a member of the Pi Kappa Alpha fraternity and a National Guard reservist, testified he intervened as Ha attacked a group of young women near the UW and was then stabbed as he fought to protect the female students. Harper was hailed as a hero by some media, which portrayed him as a brave young man who suffered grievous injuries while coming to the defense of female students. However, Ha and other witnesses, including two students who had no connection to anyone involved in the fight, testified that one of the women instigated the initial fight, punching Ha in the head in an attack that other young women then joined in. Ha and a friend had already walked away when Harper sprinted down the street after Ha, repeatedly punching him in the head and slamming him into parked cars, jurors heard. That’s when Ha pulled out a knife with a fixed 2 ¼- inch blade and cut Harper six times. Jurors heard that Harper’s blood alcohol content that night was .13, well over the legal limit of .02 for those under 21. Ha claimed he had been drinking that night but wasn’t drunk. In addition to being criminally charged, Ha, an aspiring accountant, was kicked out of the UW. According to Wagnild, the UW has sent Ha a proposed resolution that doesn’t involve any kind of finding or stipulation as to fault. He said it appears Ha will have to reapply to both the UW and the Foster School of Business. 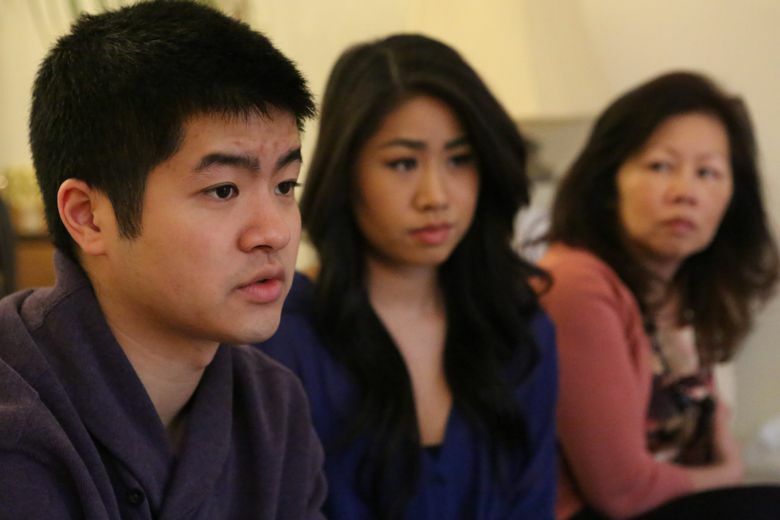 On Friday, Ha’s mother, Dale Ha, said the UW has acknowledged her son acted in self-defense.